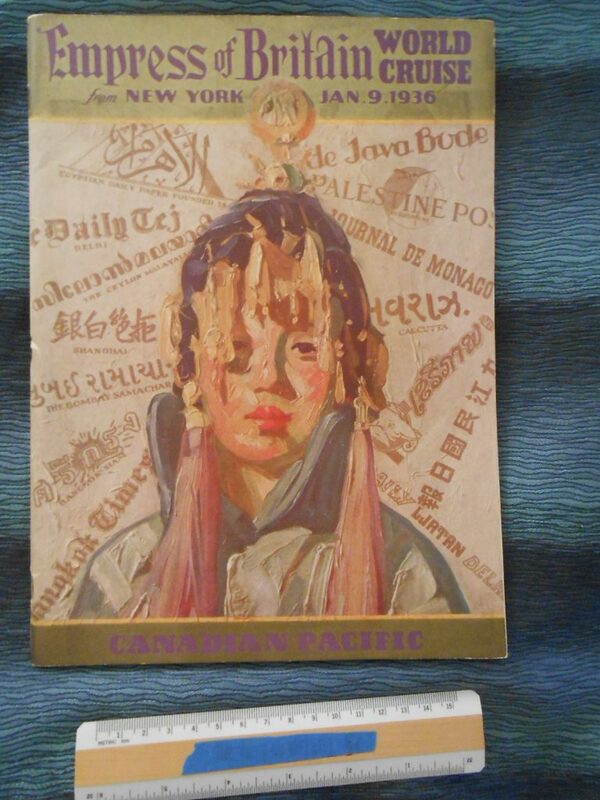 Canadian Pacific: Empress of Britain ATW 1936 Cruise Catalogue- Brochure. CP’s world cruises were top notch in the 1930’s … and the Empress of Britain was assigned these duties form her completion till the start of WW2. A magnificent ship in her on right … this glittering itinerary is well documented in this brochure. Excellent condition and packed with great photos and info.